The aim of this research is to examine the classification accuracy of the familiarity of information communication technologies of Turkey, Greece, Portugal and Shanghai at different mathematics competence levels of 15 years old students participating in PISA 2012 application according to school type, socio-economic level and genders. The model of the research was correlational and multivariate analysis of variance (MANOVA) and discriminant function analysis were used to answer the research questions. According to the results of the research; it was found that the level of familiarity with ICT was the highest in Portugal in general, while in some sub-dimensions Turkey was found to be Greece in some sub-dimensions, and Shanghai in the last place. In the use of information communication technologies in mathematics lesson, it is found that Turkey has high index values ​​according to the other countries. According to the results of discriminant function analysis; 60.9%, 83.6%, 61.2%, 54% in Turkey, Greece, Portugal and Shanghai, respectively. 56%, 48.6%, 50.2%, 55.6% according to the socio-economic level; 64.2%, 58.4%, 65.2%, 57.5% classification accuracy was obtained according to gender. In each country, the classification accuracy by school type, socio-economic level and gender is equal to or above the maximum chance criteria. These results; it supports the differences in school type, socio-economic level and gender in each country and shows that predictors are the significant. Bu araştırmanın amacı, PISA 2012 uygulamasına katılan farklı matematik yeterlik düzeyindeki Türkiye, Yunanistan, Portekiz ve Şanghay’daki 15 yaş grubu öğrencilerin bilgi iletişim teknolojileri aşinalıklarının; öğrencilerin okul türü, sosyo-ekonomik düzey ve cinsiyetlerine göre sınıflama doğruluklarını incelemektir. Araştırma korelasyonel araştırma olarak yürütülmüş olup, araştırma sorularını yanıtlamak için çok değişkenli varyans analizi (MANOVA) ve diskriminant fonksiyon analizi kullanılmıştır. Araştırma sonuçlarına göre; genel olarak BİT aşinalık düzeyinin en yüksek Portekiz’de olduğu, ikinci sırada bazı alt boyutlarda Türkiye’nin bazı alt boyutlarda Yunanistan’ın yer aldığı, son sırada ise Şanghay’ın yer aldığı bulunmuştur. Matematik dersinde bilgi iletişim teknolojileri kullanımında Türkiye’nin diğer ülkelere göre manidar olarak yüksek indeks değerlerine sahip olduğu bulunmuştur. Diskriminant fonksiyon analizi sonuçlarına göre; Türkiye, Yunanistan, Portekiz ve Şanghay’da sırasıyla okul türüne göre %60.9, %83.6, %61.2, %54; sosyo-ekonomik düzeye göre %56, %48.6, %50.2, %55.6; cinsiyetlere göre %64.2, %58.4, %65.2, %57.5 sınıflama doğruluğu elde edilmiştir. Her ülkede okul türü, sosyo-ekonomik düzey ve cinsiyetlere göre sınıflama doğruluğu maksimum şans kriterine eşit veya bu kriterin üzerindedir. Bu sonuçlar; her ülkede okul türü, sosyo-ekonomik düzey ve cinsiyetlere göre elde edilen farkları desteklemekte ve yordayıcıların manidar olduğunu göstermektedir. Acar, T. (2015). Examination of the PISA 2009 Reading skills and information and communication technology (ICT) use skills of Turkish students. Educational Research and Reviews, 10(13), 1825-1831. Akpınar, Y. (2003). Öğretmenlerin yeni bilgi teknolojileri kullanımında yükseköğretimin etkisi: İstanbul okulları örneği. The Turkish Online Journal of Educational Technology, 2(2), 79-96. Altun, T. (2011). İlköğretim öğrencilerinin bilgisayara yönelik tutumlarının incelenmesi: Trabzon ili örneği. Turkish Journal of Computer and Mathematics Education, 2(1), 69-86. Anderson, G. & Anderson, G. J. (1998). Fundamentals of educational research (2nd Ed.). London: Psychology Press. Attewell, P. (2001). The first and second digital divides. Sociology of Education, 74(3), 252-259. Aypay, A. (2010). Information and communicatıon technology (ICT) usage and achivement of Turkish students in PISA 2006. The Turkish Online Journal of Educational Technology, 9(2), 116-124. Bayraktar, S. (2002). A meta-analysis of the effectiveness of computer-assisted instruction in science education. Journal of Research on Computing in Education, 34(2), 173-188. Bilican-Demir, S. ve Yıldırım, Ö. (2016). Okulda ve okul dışında bilgi ve iletişim teknolojilerinin kullanımının öğrencilerin PISA 2012 performansıyla ilişkisinin incelenmesi. Kastamonu Eğitim Dergisi, 24(1), 251-262. Blurton, C. (1999). “New directions of ICT-use in education”. Available online http://www.unesco.org/education/educprog/lwf/dl/edict.pdf. Büyüköztürk, Ş., Çakmak K. E., Akgün, Ö. E., Karadeniz, Ş. ve Demirel, F. (2009). Bilimsel araştırma yöntemleri. Ankara: Pegem A Yayıncılık. Cengizhan, S. (2007). Proje temelli ve bilgisayar destekli öğretim tasarımlarının; bağımlı, bağımsız ve iş birlikli öğrenme stillerine sahip öğrencilerin akademik başarılarına ve öğrenim kalıcılığına etkisi. Türk Eğitim Bilimleri Dergisi, 5(3), 377-401. Cheung, K., Mak, S. & Sit, P. (2013). Online reading activities and ICT use as mediating variables in explaining the gender difference in digital reading literacy: Comparing Hong Kong and Korea. Asia-Pacific Education Researcher, 22(4), 709–720. Chisăliţă, O. A. & Creţu, C. (2014). What do PISA 2012 results tell us about european students’ ICT access, ICT use and ICT attitudes? The 10th International Scientific Conferencee Learning and Software for Education Bucharest, April 24-25. Çakır, O. (2012). Students' self confidence and attitude regarding computer: An international analysis based on computer availability and gender factor. Social and Behavioral Sciences, 47, 1017–1022. Çelen, F. K., Çelik, A. ve Seferoğlu, S. S. (2011). Türk eğitim sistemi ve PISA sonuçları. Akademik Bilişim’11 - XIII. Akademik Bilişim Konferansı Bildirileri. 765-773. Demir, İ., Kılıç, S. ve Ünal, H. (2010). Effects of students’ and schools’ characteristics on mathematics achievement: Findings from PISA 2006. Computer & Education, 2, 3099-3103. Drabowicz, T. (2014). Gender and digital usage inequality among adolescents: A comparative study of 39 countries. Computer & Education, 74, 98-111. Field, A. (2013). Discovering statistics using IBM SPSS statistics (4. Ed.). Los Angeles: Sage Publications. Fraenkel, J. R. & Wallen, N. E. (2012). How to design and evaluate research in education. New York: McGraw-Hill. Frantom, C. G., Green, K. E. & Hoffman, E. R. (2002). Measure development: The children’s attitudes toward technology scale. Educational Computing Research, 26(3), 249-263. Gall, M. D., Borg, W. R. & Gall, J. P. (1996). Educational research: An introduction. White Plains, N.Y: Longman Publishers USA. Geçer, A. ve İra, N. (2015). Üniversite öğrencilerinin web ortamında bilgi arama-yorumlama stratejilerinin demografik değişkenlere göre incelenmesi. Eğitim ve Bilim, 40(179), 383-402. Gökdaş, İ. (2008). Bilgisayara yönelik tutumlar., D. Deryakulu (Ed.) Bilişim teknolojileri eğitiminde sosyo-psikolojik değişkenler (s. 33-49) Ankara: Maya Yayınları. Green, S. B. ve Salkind, N. J. (2013). Using SPSS for Windows and Macintosh an Analyzing and Understanding Data (4. Ed.). New Jersey: Pearson. Gui, M. & Argentin, G. (2011). Digital skills of internet natives: Different forms of digital literacy in a random sample of northern Italian high school students. New Media & Society, 13(6), 963-980. Gül, Ş. ve Yeşilyurt, S. (2011). The effect of computer assisted ınstruction based constructivist learning approach on students’ attitudes and achievements. Necatibey Eğitim Fakültesi Elektronik Fen ve Matematik Eğitimi Dergisi, 5(1), 94-115. Gülbahar, Y., Tınmaz, H. ve Köse, F. (2012). Bilgi iletişim teknolojileri. Ankara: Gerhun Yayıncılık. Güzeller, C.O. (2011). PISA 2009 Türkiye örnekleminde öğrencilerin bilgisayar öz-yeterlik inançları ve bilgisayar tutumları arasındaki ilişkinin incelenmesi. Ahi Evran Üniversitesi Kırşehir Eğitim Fakültesi Dergisi, 12(4), 183-203. Güzeller, C.O. ve Ertuna, L. (2015). An investigation of students’ computer attitudes in PISA 2012 Turkey sampling. Participatory Educational Research, Special Issue (2), 35-46. Hair, J. F., William, Jr., Black, C., Babin, B. J. & Anderson, R. E. (2014). Multivariate data analysis (7. Ed.). London: Pearson Publications. New York: Springer Science+Business Media. Haber, R. N. & Hershenson, M. (1973). The Psychology of Visual Perception. New York: Holt, Rinehart and Winston, Inc.
Imbiri, W. (2015). Accounting students attitude towards computer, the acceptance of the accounting ınformation system’s course and teaching method. Procedia Social and Behavioral Sciences, 172, 18-25. Kubiatko, M. & Vlckova, K. (2010). The relationship between ICT use and science knowledge for Czech students: A secondary analysis of PISA 2006. International Journal of Science and Mathematics Education, 8, 523-543. Lebens, M., Graff, M. & Mayer, P. (2009) Access, attitudes and the digital divide: Children’s attitudes towards computers in a technology-rich environment. Educational Media International, 46(3), 255-266. Lee, Y. H. & Wu, J. Y. (2012). The Effect of individual differences in the inner and outer states of ICT on engagement in online reading activities and PISA 2009 reading literacy: Exploring the relationship between the old and new reading literacy. Learning and Individual Differences, 22(3), 336-342. Li, Y. & Ranieri, M. (2013). Educational and social correlates of the digital divide for rural and urban children: A study on primary school students in a provincial city of China. Computers & Education, 60(1), 197-209. Livingstone, S. (2011). Critical reflections on the benefits of ICT in education. Oxford Review of Education, 38(1), 9-24. OECD (2013), PISA 2012 Assessment and Analytical Framework: Mathematics, Reading, Science, Problem Solving and Financial Literacy, OECD Publishing. http://dx.doi.org/10.1787/9789264190511-en. OECD (2014a). PISA 2012 Results: Creative Problem Solving: Students’ Skills in Tackling Real-life Problems (Volume V), PI SA, OECD Publishing. http://dx.doi.org/10.1787/9789264208070-en. OECD (2014c). PISA 2012 Results: What Students Know and Can Do – Student Performance in Mathematics, Reading and Science (Volume I, Revised edition, February 2014), PISA, OECD Publishing. http://dx.doi.org/10.1787/9789264201118-en. OECD (2015). Students, Computers and Learning: Making the Connection, PISA, OECD Publishing. http://dx.doi.org/10.1787/9789264239555-en. Özden, M. ve Açıkgül-Fırat, E. (2013). İlköğretim öğrencilerinin bilgi iletişim teknolojilerinden yararlanma düzeyleri ve bilimsel süreç becerileri arasındaki ilişki. Adıyaman Üniversitesi Sosyal Bilimler Enstitüsü Dergisi, 6(15), 1-28. Sáinz, M. & Eccles, J. (2012). 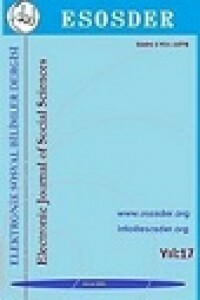 Self-concept of computer and math ability: Gender implications across time and within ICT studies. Journal of Vocational Behavior, 80(2), 486-499. Schumacher, P. & Morahan-Martin, J. (2001). Gender, Internet and computer attitudes and experiences. Computers in Human Behavior, 17, 95-110. Sharma, S. (1996). Applied multivariate techniques. New York: John Wiley. Skryabin, M., Zhang, J., Liu, L. & Zhang, D. (2015). How the ICT development level and usage influence student achievement in reading, mathematics and science. Computer & Education, 85, 49-58. Stevens, J. P. (2009). Applied multivariate statistics for the social sciences. New York: Taylor & Francis Group, Llc. Şahinkayası, Y. (2008). A cross-cultural comparison modeling of information and communication technologies aspects affecting mathematical and problem solving literacy and perceptions of policy makers. (Yayımlanmamış Doktora Tezi), Orta Doğu Teknik Üniversitesi, Ankara. Tabachnick, B. G. & Fidell, L. S. (2015). Çok değişkenli istatistiklerin kullanımı (M. Baloğlu, Çev. Ed.). Nobel Akademi (2013). Teo, T. (2008). Assessing the computer attitudes of students: An Asian perspective. Computers in Human Behavior, 24(4), 1634–1642. Tezbaşaran, A. (2008). Likert tipi ölçek geliştirme kılavuzu. Ankara: Psikologlar Derneği Yayınları. Tezoh, T. L. (2015). Exploring the relationship between students’ mathematics literacy and their access to and use of information and communication technologies (ICT):Using PISA 2012 data (Yayımlanmamış Yüksek lisans tezi). Boğaziçi Üniversitesi, İstanbul. Timur, B., Yılmaz, Ş. ve Timur, S. (2013). Öğretmen adaylarının bilgisayar kullanımına yönelik öz-yeterlik inançları. Mersin Üniversitesi Eğitim Fakültesi Dergisi, 9(1), 165-174. Tømte, C. & Hatlevik, O. E. (2011). Gender-differences in self-efficacy ICT related to various ICT-user profiles in Finland and Norway. How do self-efficacy, gender and ICT-user profiles relate to findings from PISA 2006. Computer & Educations, 57, 1416-1424. Tsai, M. J. & Tsai, C. C. (2010). Junior high school students’ internet usage and self-efficacy: a re-examination of the gender gap. Computers & Education, 54(4), 1182–1192. Turgut, M. F. ve Baykul, Y. (2013). Eğitimde ölçme ve değerlendirme. Ankara: Pegem Akademi. Türk Dil Kurumu (2005). Türkçe sözlük. Ankara: Türk Dil Kurumu. Ursavaş, Ö. F. (2015). An examination of gender effect on pre-servıce teachers’ behavioural intentions to use ICT. Eğitimde Kuram ve Uygulama, 11(1), 68-88. Usluel, Y. K., Kelecioğlu, H. ve Mazman, S. G. (2010). Comparative examination of computer and internet usage of PISA balkan countries. 13th International Conference "ICT in The Education of The Balkan Countries", 138-143. Van Braak, J. & Kavadias, D. (2005). The influence of social-demographic determinants on secondary school children’s computer use, experience, beliefs and competence. Pedagogy and Education, 14(1), 43-60. Vekiri, I. (2009). Socioeconomic differences in elementary students’ ICT beliefs and out-of-school experiences. Computer & Education, 54(3), 941–950. Vekiri, I. (2010). Boys’ and girls’ ICT beliefs: Do teachers matter?. Computer & Education, 55(1), 16-23. Venkatesh, V., Morris, M., Davis, G. & Davis, F.D. (2003). User acceptance of information technology: Toward a unified view. MIS Quarterly, 27(3), 425–478. Verhoeven, J., Heerwegh, D. & De Wit, K. (2010). First year university students' self-perception of ICT skills: Do learning styles matter?. Education and Information Technologies, 17(1), 109-133. Wastiau, P., Blamire, R., Kearney, C., Quittre, V., Van de Gaer, E. & Monseur, C. (2013). The use of ICT in Education: A survey of schools in Europe. European Journal of Education Part I, 11-27. Wong, Y. C., Ho, K. M., Chen, H., Gu, D. & Zeng, Q. (2015) Digital divide challenges of children in low-income families: The case of Shanghai. Journal of Technology in Human Services, 33(1), 53-71. Zhong, Z. J. (2011). From access to usage: The divide of self-reported digital skills among adolescents. Computer & Education, 56, 736-746. Zimmerman, D. W. (2004). A note on preliminary tests of equality of variances. British Journal of Mathematical & Statistical Psychology, 57, 173–181. Ziya, E., Doğan, N. ve Kelecioğlu, H. (2010). What is the predict level of which computer using skills measured in PISA for achievement in mathematics. The Turkish Online Journal of Educational Technology, 9(4), 185-191.